What did the officers do? Law enforcement had information that Wilson was involved in an armed robbery of a pizza joint. They believed that he was the getaway driver. So, they asked to meet up with him at a local park. Wilson agreed. At the park, Wilson agreed to ride with the officers down to the station to discuss the robbery. Wilson was placed in an interview room, but he was told that he could leave whenever he wanted and that they would drive him back to the park. However, once in the interview room, things quickly turned. The officers asked Wilson about the robbery to the pizza joint and he denied any involvement. The officers then used a tried and true tactic of slowly confronting Wilson with evidence. They told him they had the gun and his DNA was on it. They told him they had ski masks and his DNA would be on those as well. They questioned him for 3 1/2 hours. During the questioning, they told him that they would recommend probation to the prosecutor and that in 16 years, the prosecutor had never gone against their recommendation. But Wilson had to cooperate (i.e. confess). They threatened him by telling him if he did not confess, he would get hammered and that this was a 10-20-life crime. Wilson, after being presented with the two options of prison or probation, asked to speak to a lawyer to get his opinion. The officers told Wilson if he talked to a lawyer, they couldn’t talk to him anymore. Instead, they brought in a sergeant, who didn’t guarantee Wilson probation, but told him that house arrest was very possible and that Wilson had nothing to lose by confessing. Wilson confessed to the robbery and the officers took him home. Wilson was subsequently arrested on armed robbery charges and at trial, the prosecution’s main evidence consisted of Wilson’s own statements. Wilson was convicted and sentenced to life in prison. What was wrong with what the officers did? On appeal, the 2nd District Court of Appeal laid out a well-reasoned discussion of the various constitutional rights trounced on by law enforcement. In the factual discussion above, you may have noticed the glaring omission of a word discussed in every confession case – Miranda. Law enforcement officers failed to advise Wilson of his Miranda rights. They failed to tell him that he had a right to remain silent and to not incriminate himself. They failed to tell him that he had the right to an attorney. Even if they did advise him of his Miranda rights, they committed subsequent constitutional violations. They coerced his confession in violation of the Fourteenth Amendment right to due process and they violated his Fifth Amendment right to counsel. Why did the officers have to read Wilson his Miranda rights? Contrary to popular belief, police officers don’t always have to read you your rights. In fact, they usually don’t have to. Officers are only required to read you your rights (or Miranda rights), if they are going to engage in “custodial interrogation.” So, if an officer arrests you and doesn’t ask you any questions, they don’t have to read you your rights. If an officer approaches you on the street and casually asks if you have any marijuana on you and you tell the officer yes, no miranda rights were required. Miranda rights are only required when the officer is going to interrogate you while you are in custody. As discussed in Wilson, “an interrogation takes place “when a state agent asks questions or engages in actions that a reasonable person would conclude are intended to lead to an incriminating response.”” Here, the Court held that Wilson was subjected to interrogation because the officers main purpose in questioning him was to obtain a confession, the officers made promises of being lenient, told him he didn’t need a lawyer and used other techniques to get him to confess. This wasn’t a casual conversation where the officers were just trying to get his side of the story to see if he was involved or not. They confronted him with evidence, threatened him with 10-20-life and promised him probation. Whether the interrogation is “custodial,” turns on whether a reasonable person would feel free to leave the interrogation. Just because it takes place in a police interview room, doesn’t make it custodial. If a “reasonable person” felt that they could leave at any time, then the interrogation is not custodial, and no Miranda rights are required. However, in Wilson, even though the officers told Wilson he was free to leave at any time, they confronted him with evidence and told him they could get the prosecutor to issue an arrest warrant whenever they wanted. Wilson points out the factors a trial court should consider in determining whether an interrogation is custodial: 1) how the police got the person to talk to them, 2) the reason and how the police conduct the interrogation, 3) to what extent the person is confronted by evidence against him, and 4) whether the police tell the person he or she is free to leave. Here, although Wilson was told that he was free to leave, he was questioned in a small room with several police officers present for 3 1/2 hours, he was confronted in an aggressive manner with evidence against him and he was told they could arrest him at any time, and if he continued to deny being involved, the police would have the State Attorney effect his arrest. Based the on facts in this case, the Court held that Wilson was subject to a custodial interrogation. Don’t you have a right to a lawyer? If you are subjected to custodial interrogation, you not only have a right to a criminal defense lawyer, you have the right to be told about that right. Here, the Court held that the police violated Wilson’s Miranda rights by not informing him he had a right to a lawyer, but it gets worse. They also violated his fifth amendment right to actually have the lawyer present. Because, despite not being told about his right to a lawyer, he asked anyway. And police effectively told him “no.” They said they couldn’t talk to him anymore if he talked to a lawyer, and they were going to give him something better than a lawyer – their boss, another police officer, who wants to get his confession. So the “boss” comes in and tells him he has nothing to worry about (I guess life in prison is nothing to worry about) and he’d probably get house arrest. This is a blatant violation of Wilson’s Fifth amendment right to counsel. So, let’s get a running tally on constitutional violations. Violation of the Fifth Amendment right to be told your Miranda rights. Check. Violation of the Fifth Amendment right to an attorney. Check. How about the Fourteenth Amendment right to Due Process? Check. The 2nd DCA also held that law enforcement violated Wilson’s fourteenth amendment right to due process. 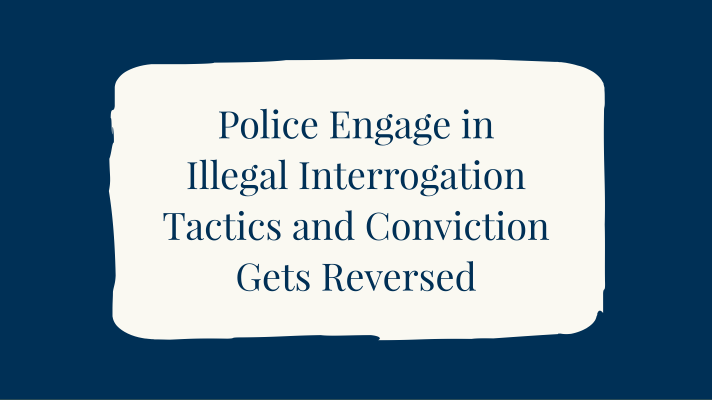 The Fourteenth Amendment prohibits police officers from using certain subversive tactics during interrogations. Statements (or admissions) cannot be obtained by coercive tactics. They must be obtained by voluntarily from the person. The person must be able to form a conscious decision to make the statement free from “unrealistic hope and delusions as to his true position, due to the officers conduct.” Wilson, quoting Baptiste v. State, 179 So.3d 502 (Fla. 1st DCA 2015). Misrepresentations or promises to an accused must be the result of outrageous conduct on the part of the police officer. Simply telling a person what the possible consequences of their actions are is not enough. Encouraging cooperation is not enough. A trial court, or appellate court, will look at all of the facts, the totality of circumstances, to determine whether the officer’s conduct was outrageous. In Wilson’s case, the 2nd DCA held that law enforcement’s conduct was so outrageous that the conviction would be overturned on that basis alone. The officers all but promised Wilson probation if he admitted to the robbery. They all but guaranteed that he would get hammered if he did not admit to the robbery. They promised they would recommend to the prosecutor that he get probation and in 16 years the prosecution had always followed their recommendations. This court decision reiterates the need for criminal defense attorneys to vigilantly challenge questionable law enforcement tactics and actions. The Court in Wilson found that Wilson’s own statements formed the bulk of the evidence against him. Without that confession, which was illegally and coercively obtained, the evidence seems scant. Cases like this help to pull law enforcement back into the folds of the Constitution, preventing them from pushing the edges, in order to obtain questionable confessions. In every adversarial arena, whether a criminal courtroom, a sporting event, or some other competition, each side tries to gain tactical advantages. 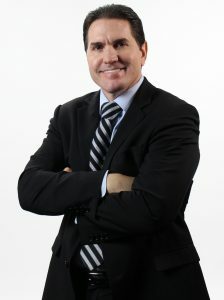 In the criminal arena, those advantages can lead to wrongful convictions.